Other notes: Adjustable rear belt. I bought this Jacket on impluse from closetchilds website but the Jacket didn't fit T_T (do this too often). 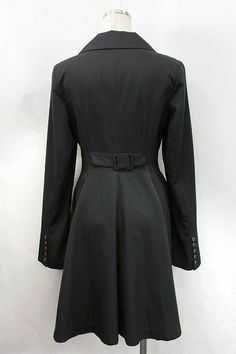 I think it is a very beautiful jacket and in great condition. Perfect for a Wedding! or doing Ouiji Boy Style, also looks great over a JSK. Hello, I've been looking for the ladies Roland coat, but the stock photos you provide look slightly different than the ones in lolibrary. Could you post pics of your own Roland jacket to make sure it's the one I'm looking for? Thank you! this is actually the photos of the Jacket I have not stock photos. Hello how much do tracked mail to sweden cost? 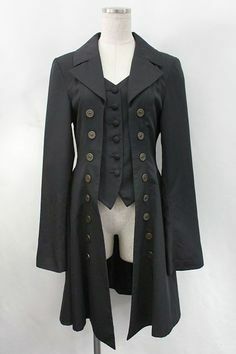 also How much petticoat do you think this coat can take? 2 or 1?